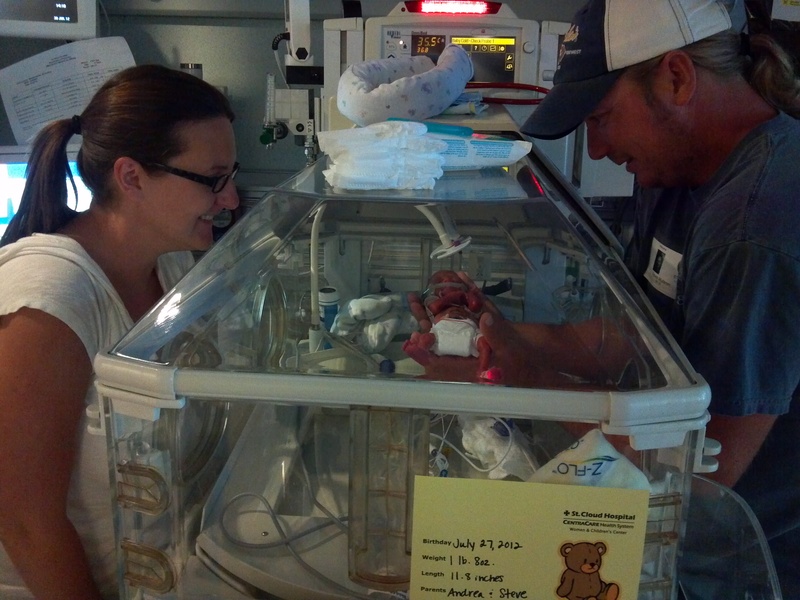 Every single detail of my son’s traumatic birth is etched in my memory. It’s been three years since Jaxson was born more than four months early and I still relive the experience, scene for scene, when I see or hear a helicopter. I am there. I feel the rumble of the helicopter blades. I smell the humid July air. I taste the fear in my throat when they tell me there is a chance I will deliver my baby while in flight to the hospital. I feel my blood turn to liquid lava the second the magnesium hits my bloodstream. Strangely, I remember telling my mother-in-law to pick up my shoes from the bathroom floor, where I had left them just 30 minutes before – when I still thought everything was going to be ok. These flashbacks leave me gasping for air and disoriented. Sometimes they last a few seconds. Sometimes a few minutes. Sometimes they leave me with an uneasy feeling that I can’t shake for days. I did some more research, and found an article about parents who experience post-traumatic stress disorder (PTSD) as a result of their premature birth and subsequent NICU stay. I am suffering from Post-Traumatic Stress Disorder (PTSD). A full-blown PTSD flashback doesn’t happen to me everytime I see or hear a helicopter, but I have no way of knowing when a flashback is going to happen. When I do experience a flashback, it cripples me. Sometimes, when I talk about the fear surrounding Jax’s arrival, people tell me “be grateful for what you have.” I don’t understand it when people say this. 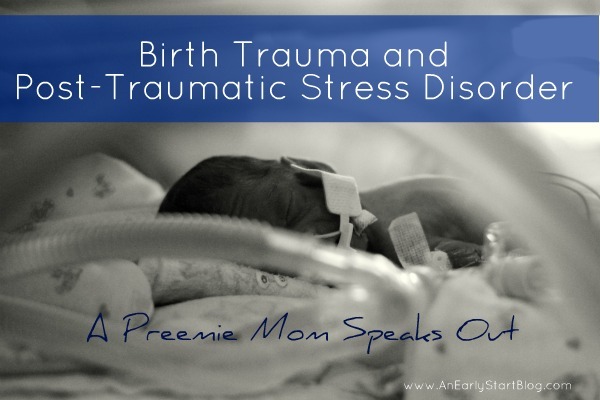 I do not know how PTSD surrounding my son’s traumatic birth equates ungratefulness. Are people saying that I am weak and that I should “just get over it?” Are they discounting my experiences? Do they think that my reaction is a choice? Do they think that I would be “cured” if I was just an eensy, weensy bit more grateful? As a mother, I do the best I can to nurture and love my son with every ounce of my being. Seeing Jax bouncing around singing songs and laughing makes me realize that I’ve probably done a pretty good job of that so far. My heart overflows with love and amazement every time I watch my little boy achieve something doctor’s said he might not be able to do. I don’t think it’s possible for me to be any more grateful. PTSD is not a choice. It is a visceral reaction to a very scary event in my life. It is something that affects every single fiber of my body. Healing clearly won’t happen overnight. As a matter of fact, I’m pretty certain that our experience will always be with me. It changed me. The things that I thought were important before aren’t as important. I take less for granted. I value life more than I did: the physiology of our bodies, the actual miracle of breath. It’s this openness and awareness that will be the key to healing for me, I think. I’m hoping that eventually, the edges will soften around this pain. I’m hoping that eventually I will be able to stop a flashback before it consumes me. Healing from a traumatic birth is a process. It’s not over for me yet. Thank you for sharing your story Jessica – it really helps to know that I are not alone in dealing with PTSD from a traumatic birth experience. I am glad that the edges have softened for you and that you were able to find some peace in the birth of your next child. You raise an interesting point about the older siblings! It might help you feel better if you saw a counselor. PTSD is classified as an anxiety disorder (I’m sure you can see why!) and a good counselor can help you through it so that it’s not crippling every time it strikes. There is nothing wrong with you, there is nothing ungrateful about you or lacking or weak. You have been through something terrible that most people can’t imagine and you have every right to be traumatized – changed – by the experience. I, too, have PTSD from something that happened when my daughter was younger. I do not want to share the gory details, but suffice it to say that I felt moments of panic for years afterward when in somewhat similar circumstances. The panic and fear has faded with time, but I too am changed. But it’s okay, because I got through it and you will eventually, too. Hugs, Mama. It’s such a scary and difficult topic. A counselor would be helpful, but unfortunately we can’t afford it right now. I am thankful that I have writing to help me process and heal. It helps to hear from other people who have been there, too, so thank you for sharing your story. I’m sorry you went through that but I am glad that things are better for you now. What I’ve also been discovering is that all the pain and trauma I felt as it happened seems even more awful and painful, now that Jack is my little boy and not the sick baby I was scared to love in the NICU. Healing is just as hard, if not harder, than the traumatic event…for me, anyway. Heather, you are right on. It is strange to think back on what happened now that Jax is a kid. He’s here, he’s happy, and he’s loving life. Why should it even matter to me any more? It’s been hard for me to explain (to myself and to other people) that my reaction is not a choice. Thanks for sharing the link – it helps explain a lot! I can’t wait to read your blog post about this. It’s a hard topic to write about, but it helps to know we are not alone as we heal.